SCAA’s works to expand outreach exhibits on behalf of SCAA and other local artists as well as art educators and their students. Art can build and strengthen our community which is why we are working to use public spaces to exhibit artwork, to include pop up live performances, and to create awareness with each exhibit having recognition with the benefits of fun, learning, and appreciation of the arts. 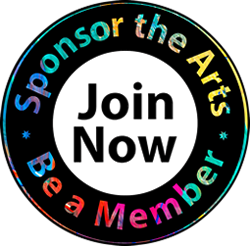 South Cobb Arts Alliance sponsors art gallery exhibits year-round as well as holds juried art shows. Contact us if you are an artist, an art educator, or if you would like to have SCAA host an art show event to continue the tradition of art in our community. And, for this all volunteer organization, consider exhibit volunteering as an option. South Cobb Arts Alliance expanded its outreach into the community through The Gallery at Powder Springs, located at the Powder Springs Municipal Building at 4480 Pineview Drive in downtown Powder Springs. SCAA continues to bring new and exciting upcoming exhibits at The Gallery. Check the event section for updates for events open to the public with no admission charge.